Social Entrepreneurship: Are you the One? January 4, 2016 / jonathanawade / Comments Off on Social Entrepreneurship: Are you the One? It is the New Year, and you are resolved to feel better about working. You have worked for others, and maybe you feel frustrated by their vision not matching your own. You maybe even have felt that your work was not being recognized? Perhaps you feel that you are doing work that is “beneath you?” Maybe you go to the stores and you are annoyed, perhaps even distraught, by the many frivolous products and services that one can buy? Do you follow the news, and are you struck by how greed and fear is seemingly driving the world to ruin…community by community? You want to work for something to make the world a better place, and where your vision guides your daily grind. Where you can make a living by helping others live better. Social entrepreneurship might be the answer. But is it right for you? Here are seven initial questions to ask yourself. Can you afford to be a social entrepreneur? Starting a business is hard work, and frequently doesn’t generate a lot of revenue (ie salary) quickly. Moreover, most entrepreneurs don’t work 9-5. They live their business during start-up and beyond. Starting a social enterprise is even harder, and will likely not generate a lot of revenue in the medium term, as the social mission may require lower prices, workplace supports, or even higher input costs. Do you have an idea for a product or a service? Social enterprise relies on one fundamental concept; you must sell something in the market to generate revenue. Sounds obvious, but selling a product or service means that you need to have demand for that product or service. Creating demand is hard work, and advertising is an inexact and costly endeavor. Your product or service needs to have potential customers and you need to know more about them before you commit to your business. How strong is your constitution? You need to have more than just a “second gear” to weather the rough times. You have to believe that this idea will be what makes you whole. Your must have a passion to make your business work in the face of adversity, illness, competition, naysayers, and budget crunches. Do you have community support? Social enterprises are different from other businesses, in that the social impact is the main motivator. You can use that social mission to engage talent as advisors, sponsors, mentors, and sometimes even customers. Because of the communal wealth you seek to increase, you have an opportunity to engage the community in your business idea, and your business success. Always look to develop the community around your business; find those who support you, and cultivate that support to help with marketing, design, governance, product development, funding and other key elements to your social enterprise. Are you humble enough? This sounds paradoxical, as most think entrepreneurs need ego or supreme self-confidence to overcome challenges (and even failures). However, humility is important in social enterprise, as the business should not be about you. It should be about improving the lives of others. You may be recognized (and you may even crave recognition) for the idea and the launch of the business, but fundamentally, the business has to be bigger than you. In fact, if you review your answer to the first set of questions in this post, you’ll realize (I hope) that in order to find meaning in your daily work, you need to be working towards something bigger than you, you need to have a higher purpose for work. Can you roll up your sleeves and get dirty? Related to this humility is the fact that running a business on your own or within an organization might also require you to be figurehead, shipper, manager, and janitor all at the same time. The grim reality is that most businesses need more manual labour than celebrity spokespeople. If you feel that you’ve been working below your station when working for someone else, be prepared for a dose of humility as you lick your own stamps, prepare your own invoices, manage inventory levels, and take out the trash after you’ve given your great media interview. So… Are you the One? 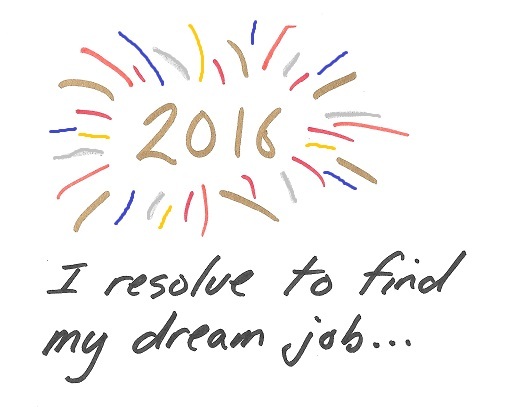 Is 2016 your year to make work truly meaningful to you? If the above list of questions leaves you feeling energized and excited then maybe you are destined for a career as a social entrepreneur. If so…identify the skills you may lack, and look for folks who have those skills to support you as you start your business planning and launch. If you need some market research, some advice, or just want to chat confidentially, of course you can contact me here at Social Delta for a free first time consultation.